My first book, Alluring Turmoil, is doing amazing and my second book, Alluring Seduction, is in preparation mode. I’m editing and about to send to formatting. I’m having a custom shoot for my cover that is being shot this weekend. I’m getting feedback from my Beta Readers and it’s great. It releases on Friday, January 3, 2014. I am blessed beyond belief and in awe of all the things that have transpired. With is being November and the holidays, I want to give back and I want to pass some of all the good that is happening to me onto others. Monday is Veteran’s Day. Our troops and our veteran’s are something that is very important to me. These men and women serve selflessly. They leave their family and friends behind, and head off into unknown danger. They do it for the love of their country and to preserve and protect our freedoms. Often when they return home, they need help… they don’t always get it. A simple thank you can go a long way. I have 2 young children, 4 and 6 years old, and even they understand that being a soldier is something to be proud of. They see men and women in uniform and excitedly exclaim, “Look,Momma! A soldier!” I’ve tried to teach them that you should honor and appreciate these men and women who sacrifice so much for us and at 4 and 6 years old, they sort of get it. They see an American flag and know that it is something truly special. They see the older men and women with all of their military tattoos or proudly saluting others and they know what that means. I get very emotional about our soldiers and our veterans. In fact, I get choked up when I see them, hear their stories, and I always take a second to say thank you whenever I am able. We send cards and care packages to the troops and Veterans every year, but this year, with my success and because I am able and it’s important, I want to do MORE. 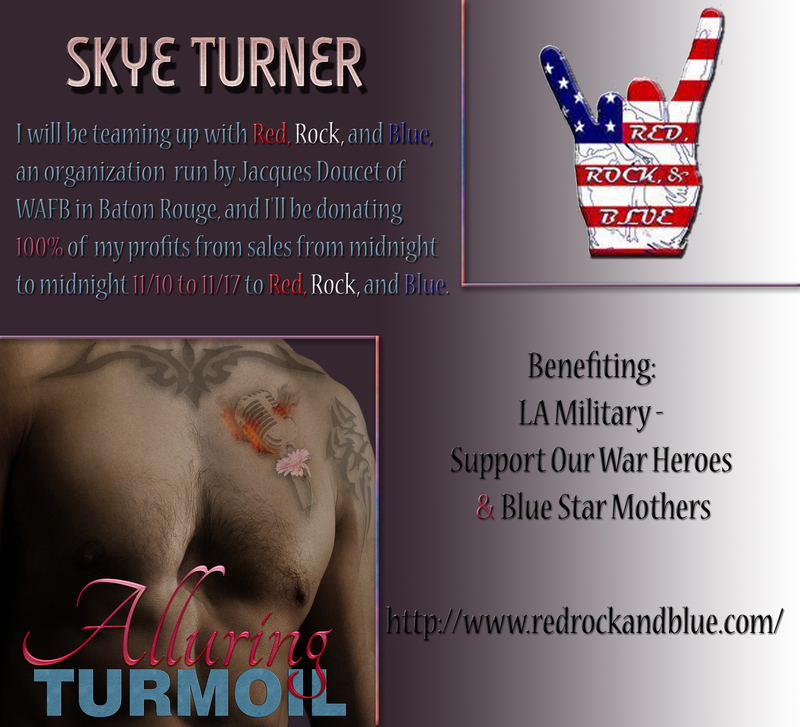 I am honored to say I have teamed up with Jacques Doucet of WAFB, here in Baton Rouge, and Sunday, November 10 at midnight through Sunday, November 17 at midnight, I will be donating 100% of my proceeds from my Amazon sales of my debut novel, Alluring Turmoil, Book 1 Bayou Stix, to Jacques organization, Red Rock & Blue. Red Rock and Blue is an organization founded and run by Jacques Doucet of WAFB, Channel 9 in Baton Rouge. He has 3 major events in the Baton Rouge area every year that 100% of the proceeds benefit the LA Military – Support Our War Heroes & Blue Star Mothers. These events are usually put on in the summer and include: a Celebrity Softball Tournament, an amazing Concert featuring a huge name, a Softball/Kickball Tournament, and this past year there was also a Golf Tournament. I am by no means a huge name, but I am a proud Louisiana local who’s had some success, and I want to use that to benefit something that is very important to me and should be important to everyone else… supporting our Veterans. 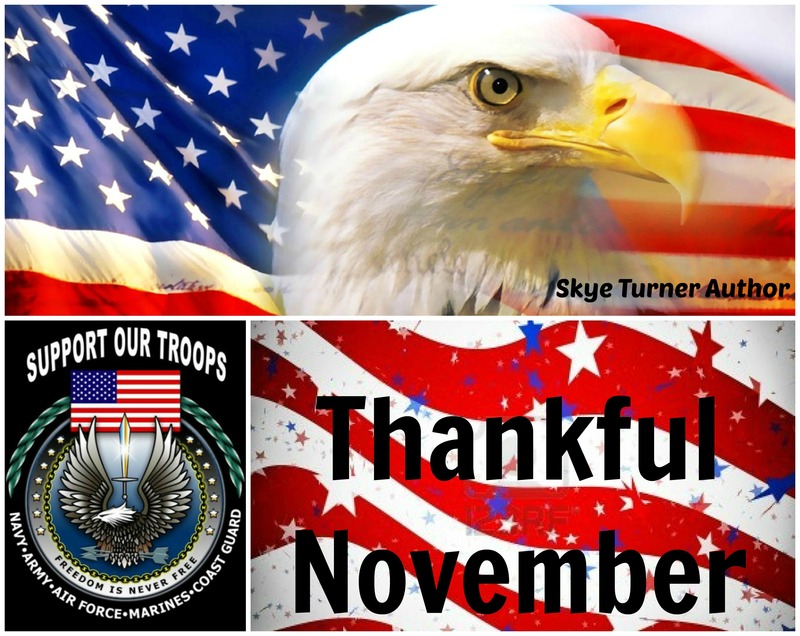 Please join me in supporting our Veterans and saying “Thank you” by buying my book, Alluring Turmoil, Book 1 Bayou Stix, Sunday on Amazon, November 10 at midnight through Sunday, November 17 at midnight, and helping me raise money for them. 100% of my proceeds will go directly to Red Rock and Blue and to our Louisiana Veteran’s. E-books for Kindle or Kindle apps are $2.99. They can be purchased HERE. Paperbacks are $16.99 and can be purchased HERE. Signed paperbacks with bookmark and cover card from my store are $15 with $4 for shipping and handling. They can be purchased HERE. More information about Red Rock and Blue can be found HERE. I thank you all for the support and I hope that together we can raise a lot of money for Red Rock and Blue and our Louisiana Veterans! → Guest Blog Post I did for 1 Book Lover’s Opinion. ← What is an “Indie Author”? Thank you and it really is my pleasure. I would not appose reblogs to help spread the word. I fully support our troops and veteran’s. Join me and show your support.